The concept originated in Australia a few years earlier to address mounting dissatisfaction with how nursing students were clinically trained. The University of Portland adopted the concept to address a critical shortage of nurses, faculty, and clinical sites to support a rapidly growing number of students. In 2007, members of a joint School of Nursing/Emory Healthcare task force attended a DEU symposium at Portland. 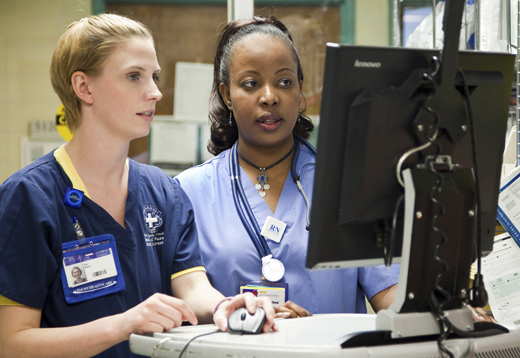 They came away convinced that the model could enhance nursing education and collaboration between nurses and nursing faculty as well as improve safety and quality outcomes for patients. When Emory rolled out the model last fall, 18 nursing seniors applied to work in the DEU for their medical-surgical rotation. Before joining their units, students attended an orientation to learn about the nursing concepts central to Emory Healthcareâ€”quality, safety, patient- and family-centered care, shared decision-making, and the synergy model of patient care, which matches patientsâ€™ needs with nursesâ€™ competencies. 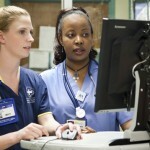 Read more about the DEU program in Emory Nursing magazine.